Your blog’s visitors decide in a matter of seconds if they stay or move on. Can your blog’s first impression live up to this circumstance? Like with every first impression, you rarely get a chance to have a second. This post will help guide you through important steps to design your blog in a way your readers will love. Design to crave for more. Not only should your writing make your readers crave for more and lead them through your content. Your design should also support visitors throughout your website. Provide a red line to follow. Highlight important goals you want them to accomplish (like signing up for a freebie). In short: ensure that your design says “Welcome, let me guide you”. 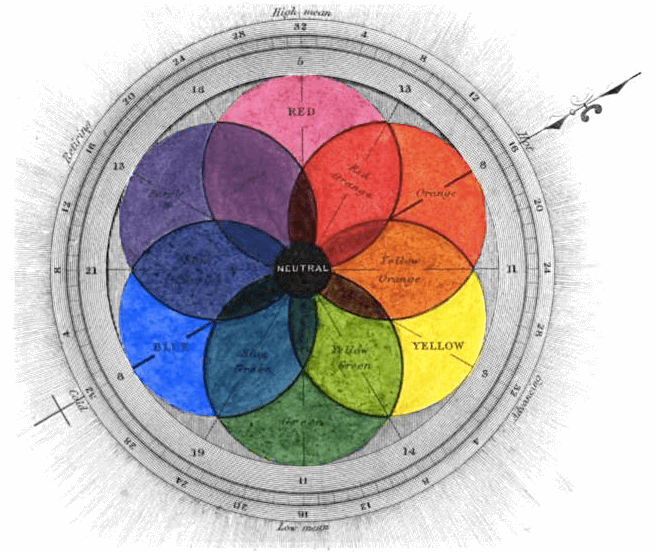 Colors are an important aspect of each website. Colors lead to emotions. They influence the first impression you give to visitors. Additionally, they also have an impact on whether your site is comprehensible or not. Reading dark grey on semi dark grey is a big hurdle. Make it as easy as possible for visitors to start reading your post. You can also ask yourself what feelings you have when viewing different websites. Single colors are easy to choose. However, if you want to get good combinations, you shouldn’t just rely on your guts. Combining colors and making the result look professional is no task for beginners. Therefore, I highly recommend using supportive tools to choose your advanced color combinations. Tools support you in finding beautiful colors and combinations. However, each tool can only go so far. Experienced designers accomplish the last step in defining and refining the results without the use of tools. paletton.com: Choose your first color and look for matching ones. Or simply hit the randomize button. materialpalette.com: If you are just about to create your own blog and have no idea where to start. hexcolortool.com: Useful if you have already chosen colors and need them lighter or darker (also useable for button hover colors). Fonts also play an important role on your blog. While it may not be clearly visible, small changes in a font can have a huge impact on its readability. There are 3 important aspect of a font: Type, Size, Colors. Let’s go into detail. Font types determine the drawing of your font itself. You can use fonts with serifs or without. Short letter spacing or big (although you can alter that to a certain extend). Round letters or more edgy ones. Font sizes have a critical impact on whether your blog can easily be read or not. Modern blogs stick to font sizes greater than 16px. If you want to mathematically and correctly choose your font size, I recommend using tools like Persona’s Font Size Calculator and Typescale. The baseline of font sizes is that it’s a balance act between big enough to easily read and small enough to get through your text fast enough. Have you ever read through a gray on gray text? That’s pretty frustrating. Avoid using colors that are not distinct enough to each other. On the other hand avoid colors that are too distinct to each other. Plain black on plain white may look cool and glossy for headlines but can get exhausting if it’s used for plain text. The same goes for a glowing toxic green on a dark blue background. It may look cool as a first impression but it doesn’t add to your site’s usability in the long run. Images, just like colors, are a great way to create certain emotions. Images are also the first content elements that get recognized. Even more if they have people on it, as we tend to connect faster with faces of similar beings. Quality is an important aspect of each of your images. If you set your images in low quality or compress them too much, they look ugly and decrease your user experience. However, if you just upload them with maximum picture quality your site’s loading time may increase drastically. No one I know likes slow websites. Slow sites just have huge problems getting visitors to stay. Your goal should be a balance between beauty and size. We will go over the details of placing content in your blog in the structure chapter. If you place your images, remember that they can add to the clarity of your blog. On the other hand they can also distract if they are placed in high numbers. Like with all mighty things, the dose creates the poison. Lightboxes are a great and simple trick to increase the usability of your site. Normally, if you click on an image in most content management systems, you will be redirected to the standalone image. The reader needs to take a step back afterwards to continue reading. Lightboxes fix this problem by opening images in a box overlay on your current page. In modern lightbox plugins, visitors can simply click anywhere on your site to close the lightbox. Structure should add to usability and not confuse your visitors. Give your site a continuous structure so visitors can learn it. Don’t even make them think. You don’t need to be the special one that places your site’s menu on the right side. Instead, follow the trends and create something visitors already know. You will turn much more visitors into readers if your site’s structure is easy to learn. There are some important things to know when structuring your content. Conversion optimization tests have shown numerous times that visitors start to go through your site from the left top-mid section (in “western” countries). Place whatever you think is the most important for your readers in this position. It might be a small picture or your headline. If you have big pictures, why not place them on the right side or your page? They attract readers’ eyes easily anyway. By now, you may feel there are no truly correct recommendations. If you want to really get this right, start user tests with your target audience. Sidebars are important elements in each blog. They promote your ads, freebies and other goals you want your visitors to click on. If you visit my blog, you may see that I don’t have a sidebar on my single posts. This is mainly because I want my readers to have an undistracted reading experience at the beginning and a well guided flow through my website afterwards. However, this doesn’t mean you shouldn’t use them yourself. If you really want to get the most out of your sidebars, you can use sticky ones. They also greatly enhance your visitors’ experience as readers always have their goals (your freebies) right in front of them. Space is the single most powerful element of your website. A rule of thumb: the more space the more structured your site. In reality, it’s important to find the golden balance between space and content. If you cluster your elements beside each other, your visitors will have no clue where to start (and will end up leaving your site). If you expand your site too far, your readers will have a hard time to go through your content and reach their goal. Use space to structure your site, keep connected things together and distinguish them from different content. If you want to stand out in a positive way, you can make life for your visitors even easier. Add guiding elements to your posts like marks at your headlines to highlight them even further. You can also use arrows to generate a guided flow through your website. If you don’t know how your visitors should go through your website, you can draw this process. Start with your goal. What do you want your visitors do? Whatever your goal is, you need a starting point to conceptualize your blog. If you have not yet set up your blog, I have written a handy guide on how to setup your blog professionally in 5 easy steps. After setting up your blog, use this post here to build your design step by step and grow a happy followership. If you need further inspiration we also collected some of the best web design blogs to read. Arian Simon is founder of webdesign-up.com and blogger on createtopnotchwebsites.com. Follow him on @CTNWebsites. How to use Trello for bug tracking & user feedback!